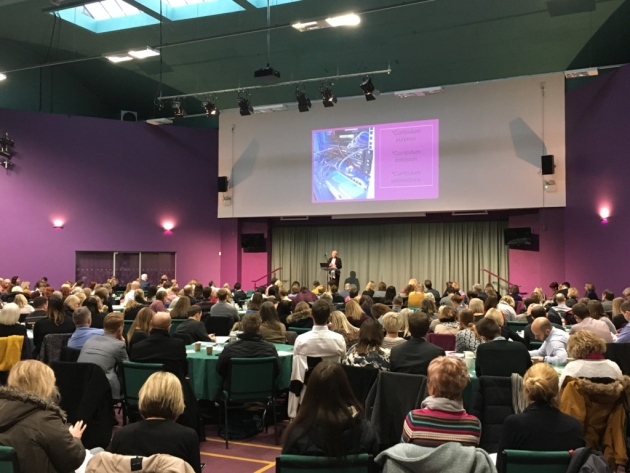 Clare Fletcher, Director of Schools at the Yare Education Trust, speaks to over 200 delegates at the Norfolk Curriculum Conference in January 2019. For the full story please click here https://www.edp24.co.uk/news/education/norfolk-curriculum-conference-kings-centre-norwich-1-5857708. (Picture taken by Bethany Whymark).